Our Machine Blonds Weft Hair is specifically designed to enhance the overall appearance of the wearer. Our Machine Blonds Weft Hair is widely acknowledged for natural shine, neat texture, bouncy feel and detangled features. Machine Blonds Weft Hair, offered by us, is free from chemical, dyes and any synthetic element. 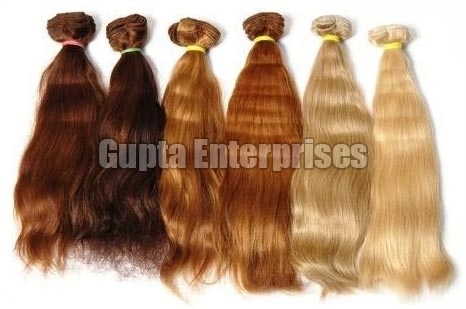 Our clients can avail our Machine Blonds Weft Hair in different lengths and patterns.